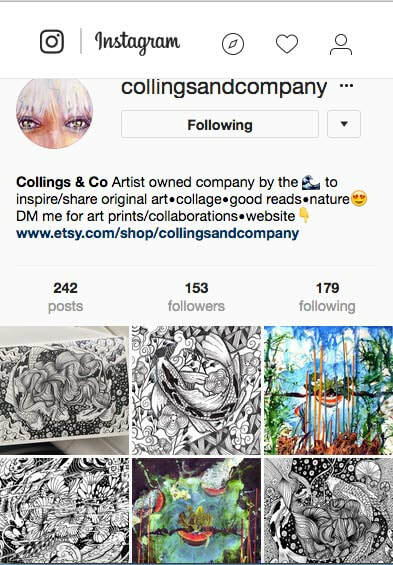 Collings & Co, an art design company created in 2006, featuring fine art, illustration, one of a kind jewelry, and coloring books! Artist Celeste Collings is known for her love of mixed media and unique style creating beautiful and unusual art work. Artist, illustrator, product designer, art educator, national & international exhibiting artist, Collings has over 30 art exhibitions during her art career and is listed in private and corporate collections.